This Ebook has several years worth of pictures of different seasons. A long list of Farmhouse and Garden style items to decorate with. 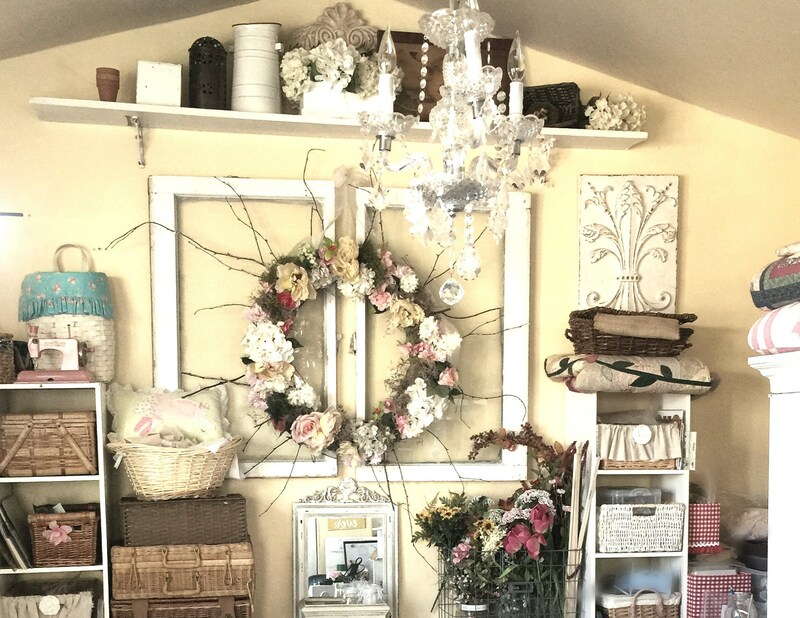 And there is over 100 ideas to get started decorating. I hope you enjoy it as much as I did creating it! 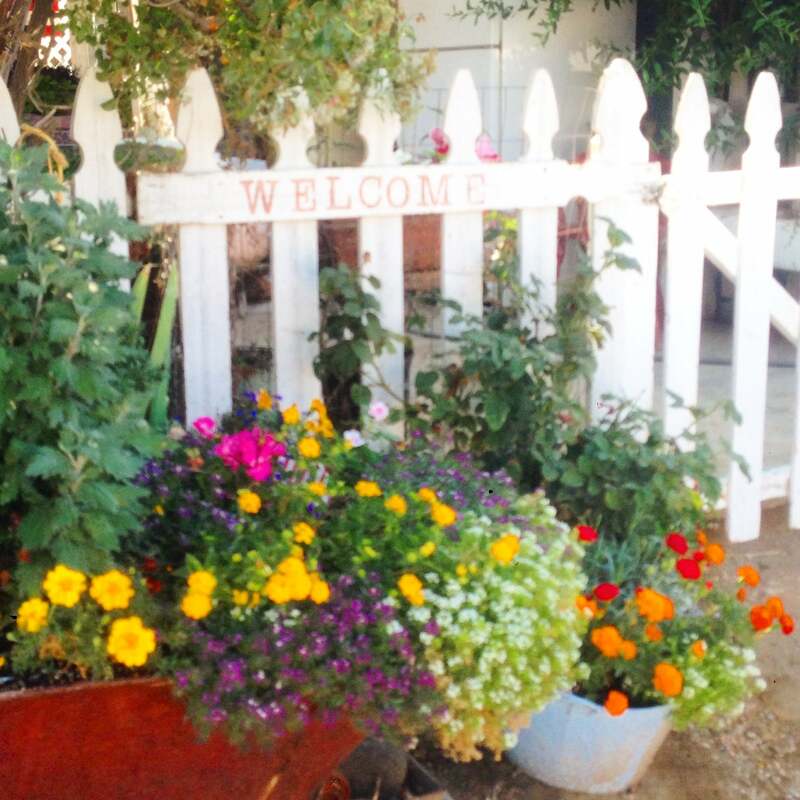 This Ebook is filled with ideas and creative projects that I have done over the years creating a Garden style and Farmhouse look in the home we have lived in. 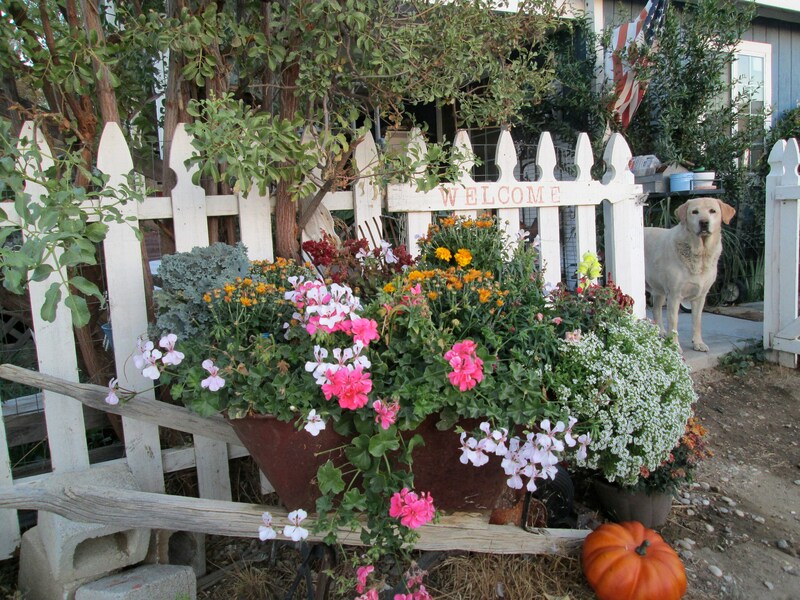 Ideas for decorating your porch with a farmhouse theme. Using garden flowers, plants and greenery. How to make the most when on a budget. Creating a wonderful seating and eating area on the patio. 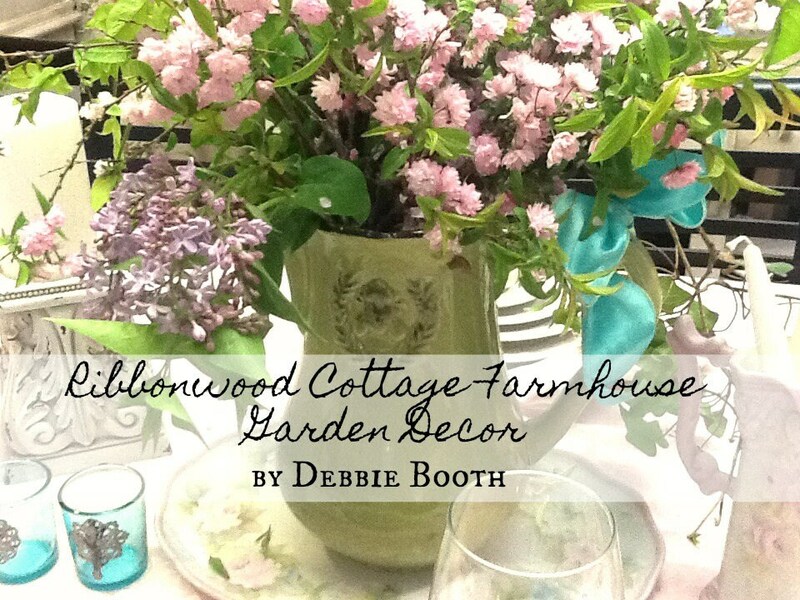 Ribbonwood Cottage was created by my husband and I. We moved into a farmhouse in the country early on in our marriage. The trees on our property are called Ribbonwood trees. They are called that because of the ribbon like bark that peels off the tree. The pictures in this ebook are of our home. My ideas and decor I have put together over the years. We live in a farmhouse and the pictures will reflect that. Rather than one style, or one color scheme, there are numerous pictures of seasons, styles and looks. These are from years of living in a farmhouse. I’m sharing this ebook in hopes it will inspire ideas using the garden style look. Garden decor has touches of flowers, greenery, and living plants. Farmhouse style comes from necessary items that stand the test of time, distressed yet well loved. Bringing nature in. This book will major on the basic elements and foundation of the garden decor look. Colors and fabrics are optional. Garden style decorating is using elements from the garden to decorate with. While living in a farmhouse on a farm, I have often gotten ideas for decorating from ideas of just living in the country. Some things are old and well loved and deserve a second chance. And other times you just have to get something new because the old and well loved eventually falls apart. These are my pictures from 20 years of decorating and using a Farmhouse/Garden style approach. Please see all the pictures here. I'm sure you will enjoy this Ebook. 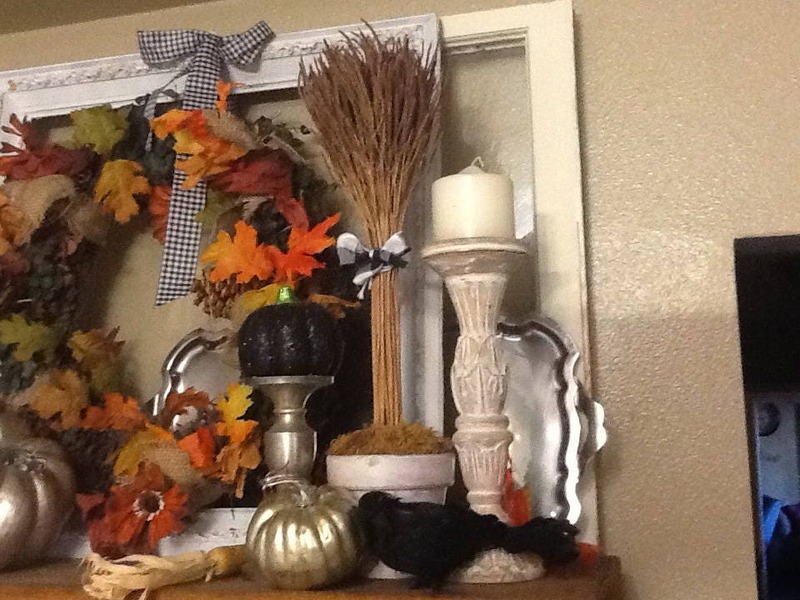 I share many ideas for decorating and how I achieved the look I got. 29 pages of photos, ideas and project ideas. ￼￼Immediate download once the transaction is completed.